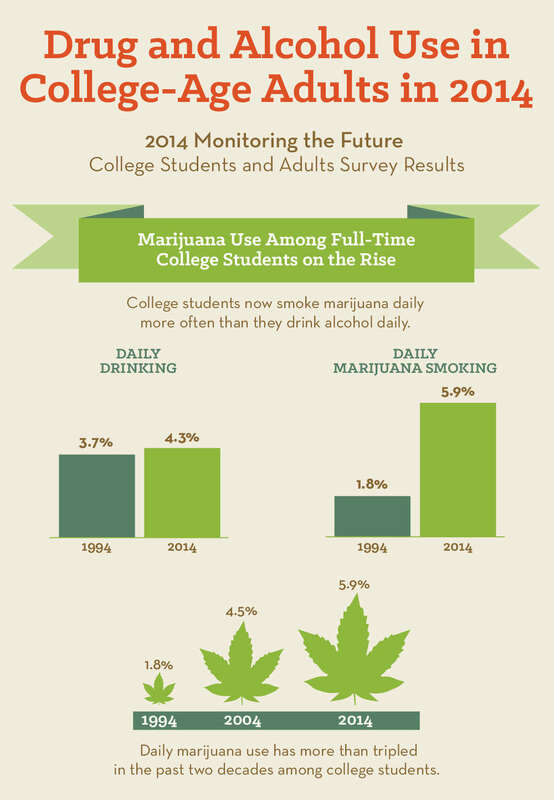 Daily marijuana smoking: 1.8 percent 1994 and 5.9 percent in 2014. 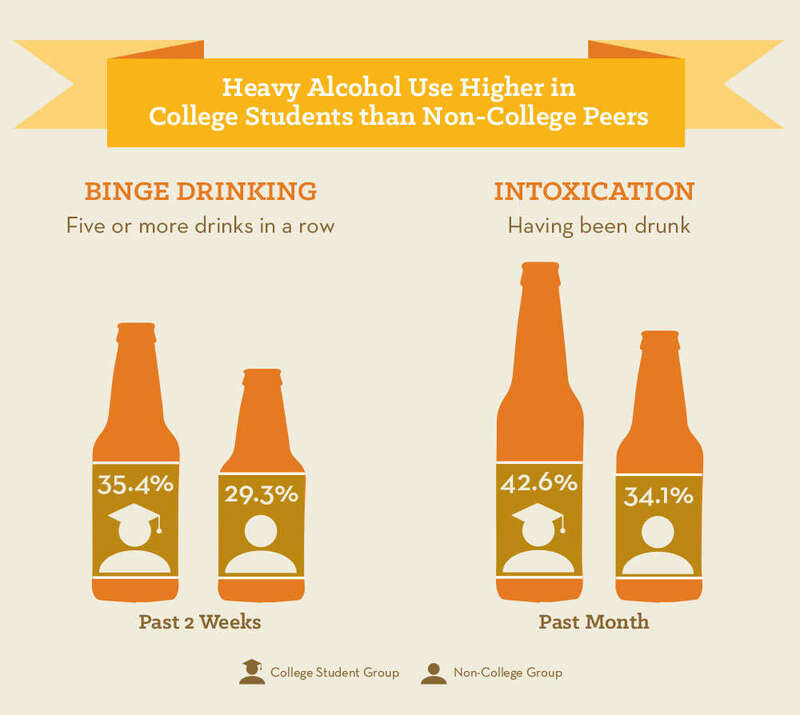 Second Figure: Heavy Alcohol Use Higher in College Students than Non-College Peers. Binge drinking (five or more drinks in a row): 35.4 percent of college students and 29.3 percent of non-college peers in the past 2 weeks. Intoxication (having been drunk): 42.6 percent of college students and 34.1 percent of non-college peers in the past month. 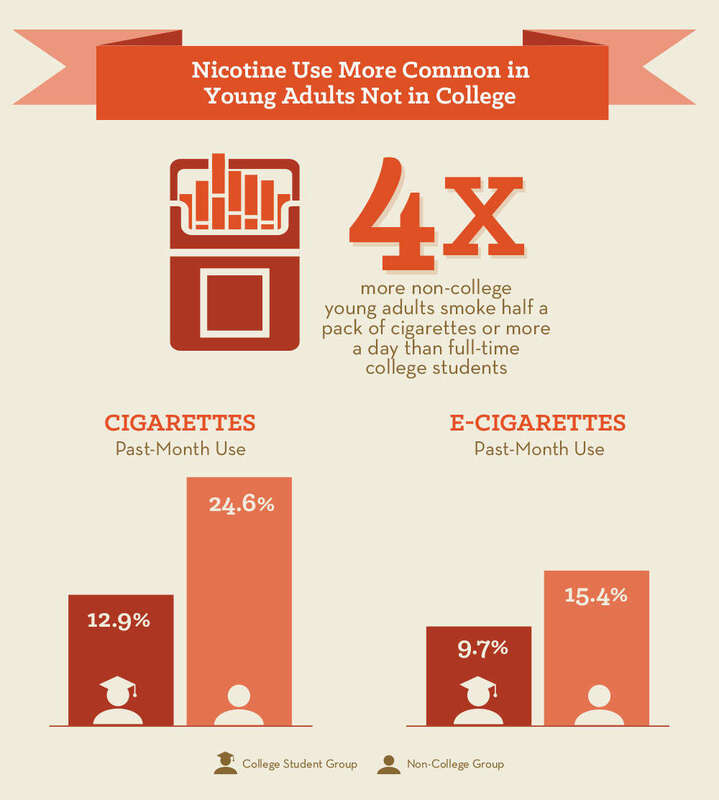 Four times more non-college young adults smoke half a pack of cigarettes or more daily than full-time college students. Johnson LD, O’Malley PM, Bachman JG, Schulenberg JE, Miech RA. 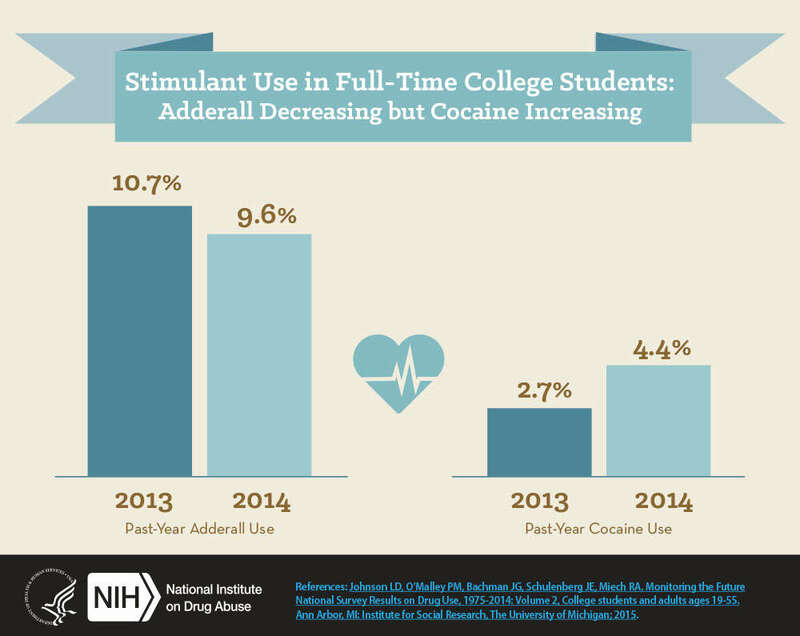 Monitoring the Future National Survey Results on Drug Use, 1975-2014: Volume 2, College students and adults ages 19-55. Ann Arbor, MI: Institute for Social Research, The University of Michigan; 2015.